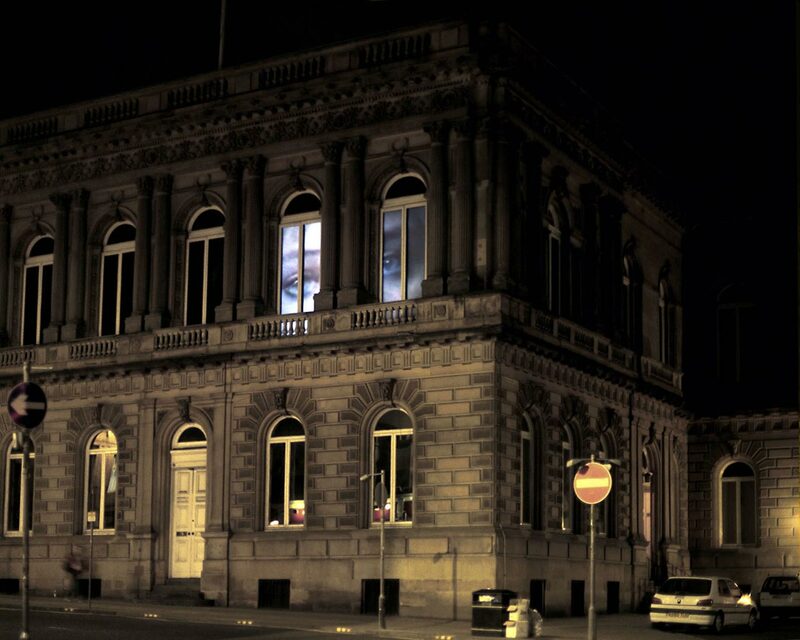 In this work a moving image emerges through the windows from the interior of the Procurator’s Library, Glasgow. The Law Library is normally out of bounds to the public and the lavish interior is lined with marble busts of the eminent Glasgow lawyers of the past. All of whom are male. Through appropriating and editing the ‘looks’ that pass between the female lawyer (Kelly McGillis) and victim (Jodie Foster) in Jonathan Kaplan’s 1988 film ‘the Accused’ an imbalance of power within both the institutions of Law and Architecture is suggested. 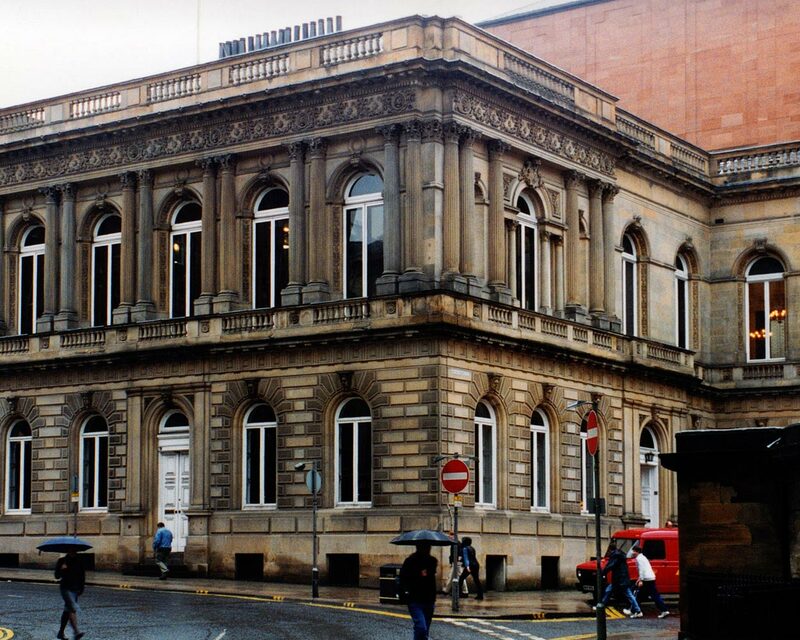 Commissioned by Visual Art Projects, Glasgow for the Year of Architecture and Design. 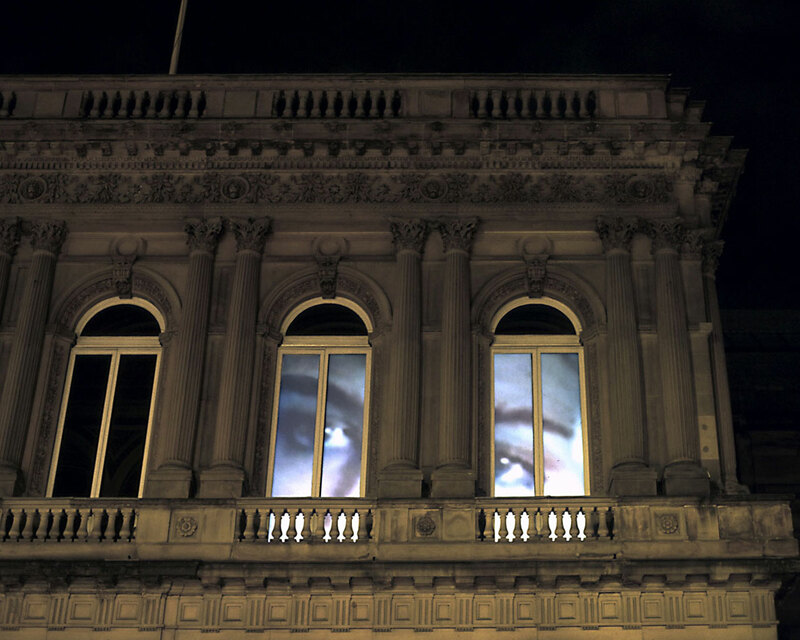 The video installation could be seen from dusk until dawn. Medium: Digitally manipulated film edited to DVD. 2 x 950 Lumen digital projectors: Back projection screen.